This poor little blog has been neglected the last couple of months by yours truly. Blame my new job! I’ve been traveling like crazy and have hardly been home to cook. So to talk you into sticking around…here’s as much of a post as I can get out there. …actually we made two…and left only crumbs! This is the closest we have come to making Neapolitan style pizzeria pizza, with a blistered crust, fresh buffalo mozzarella, San Marzano tomatoes and fresh basil. I can’t wait to have it again! I recently taught a 10 day course in Chico, CA and during a free afternoon, found myself touring the Sierra Nevada Brewery, which of course finishes with a tasting. The hoppier the beer the better! I loved the Hoptimum – it has an IBU (International Bitterness Unit) 100. And their dry hop cold storage room smelled amazing! Their operation is impressive, even more so because of their emphasis on being green! (Large solar array, hydrogen fuel cells, water treatment plant, etc.) I really enjoyed Chico…quite a fun little town. Of particular note is Chico Chai, Avocado Peach Margaritas at this place, and breakfast at Cafe Coda. I experimented with a cold Soba noodle salad with seared tofu, sautéed mushrooms, steamed broccoli and fresh snow peas with a carrot, ginger miso dressing. It needs a little tweaking, but certainly filled our bellies! 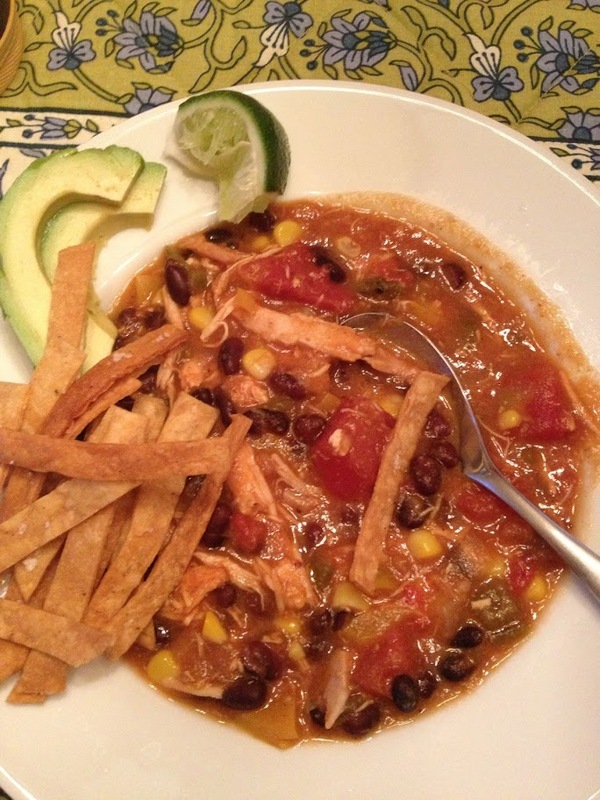 In early May, I had a craving for Chicken Tortilla Soup and whipped this up! Those are house-fried tortilla strips on top, and the bowl is not ready until you’ve squeezed some fresh lime juice over the top and added fresh avocado as well! 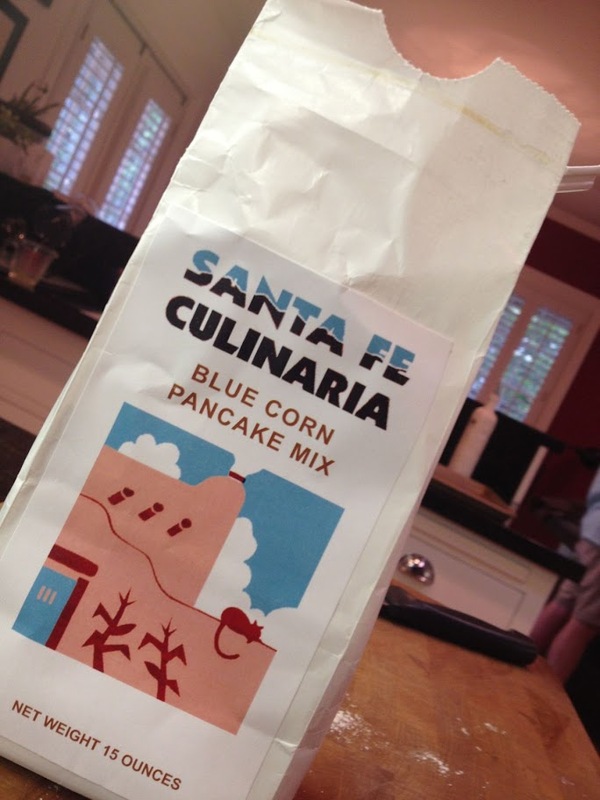 Woody ordered some chile powders from New Mexico and was intrigued by this Blue Corn Pancake Mix. We threw a batch together one morning, and can now speak from experience…it’s delicious! 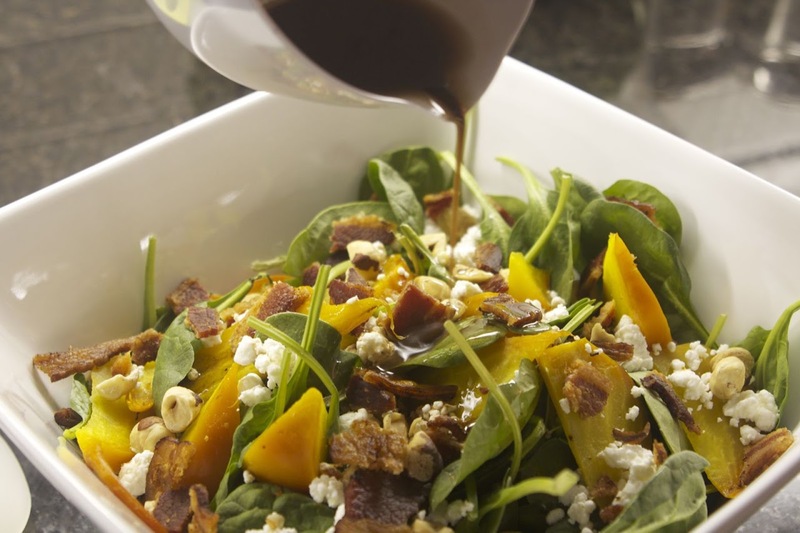 Reaching way back (like late April), we made this awesome salad with roasted golden beets, fresh hazelnuts from Oregon, bacon and goat cheese! I’m about to hit the road again tomorrow and I’ll be gone until the end of June. I’m SOOOOO looking forward to July, summer produce at the farmer’s market, time to cook, patio sitting and a few slow weeks! Thanks for the update – rustic, authentic Italian pizzas like this are the best sort hands down!